Window cleaning, the one chore most homeowners dread. Little wonder most windows go several months with little or no cleaning. The road to clean streak – free windows are sometimes paved with stress, our impatience, and frayed nerves. 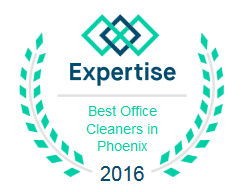 This is because when cleaning windows, we make mistakes that produce annoying results. This would have been avoided if we were better informed of the window techniques that really work. But that should Change after you read this. I’ll bring to light this mistakes you make whenever you motivate yourself enough to start the chore. In order to get the best results when you clean your windows, avoid the following. In an earlier post, I said the tools you use for window cleaning are just as important as the technique you use. User tools that are made specifically for window cleaning. Squeegee, window cleaners, lint-free towels. Sometimes in the absence of a squeegee, you can make do with a sponge. Don’t use a sponge that’s hard, you’ll risk scratching the glass. Use soft Sponge that is mild on the glass. You want to get the dirt off not leave scratches on the glass. Every cleaner was made for a different surface. Using a cleaner made for cleaning marble, or a cleaner made for carpets oh glad will definitely room your glad. Try not to compromise on this because you don’t have a cleaner made for the window, you won’t get the desired results. Take the time to read the labels on the cleaner you want to buy, confirm that it’s made for the surface you want it for before purchase. Too much cleaner can leave you struggling with a lot of leather on your windows. Too much cleaner can be hard to remove from towels, spine and squeegee you use in cleaning. It can even leave a build up on the glass surface. Even washing on an airy day is a bad idea. As you wash, the heat of the sun and the breeze from the surroundings will dry the cleaning solution mixed with dirt on your windows. The result is always a very discouraging sight – of streaks dirt that masks the whole surface of the glass. The sight is enough to kill all the motivation you started with. Instead, wash windows on an overcast or less breezy day. It’s no secret paper towels are great for absorbing water. Paper towels were never made for use on windows. Paper towels will leave behind particles that are immediately noticed on the glass. Use Microsoft fiber, lint-free towels or a squeegee instead. These have to be clean before use to dry the windows you just cleaned. No matter how hard you try to clean your windows, if you keep making these mistakes, your windows may never be as clean, spotless and streak-free as you’d expected. This entry was posted in Window Cleaning and tagged arizona window washers, clean your windows, mistakes, window cleaning, window washing. Bookmark the permalink.